I hope you all are doing great. Today, I want to post on something which, I feel, is the one common thing among all us crafters – SCRAPS! Yes! It is very difficult for us to throw away those tiny bits of papers which we are left with after finishing a project. We always convince ourselves that we will use them somehow and what’s the result? We fail to use them on time and they just keep piling up. Sometimes scraps do stress me out! Can’t use them, can’t throw them! I also follow a few things while storing scraps. Store by Collection or Color – I usually store my scraps by design paper collection after I have completed a project using a particular collection. If I am not using a collection, then I just store them by colors. This makes it easier to use them in future projects. Eliminate scraps not meeting my size guidelines – I don’t store anything which is less than 1″x3” in dimension. This way I make sure that I store only those scraps which I will use in the future. Being Realistic – After a lot of experience I have learned that I can not possibly use every scrap, so it’s better to be realistic and store only meaningful ones. This saves me unnecessary stress, but does cause some heart ache when I throw some out. Sigh! Ok. Enough talk, now for the layouts. Layout 1: Scraps cut in strips and lined around the edges to give a beautiful page effect. 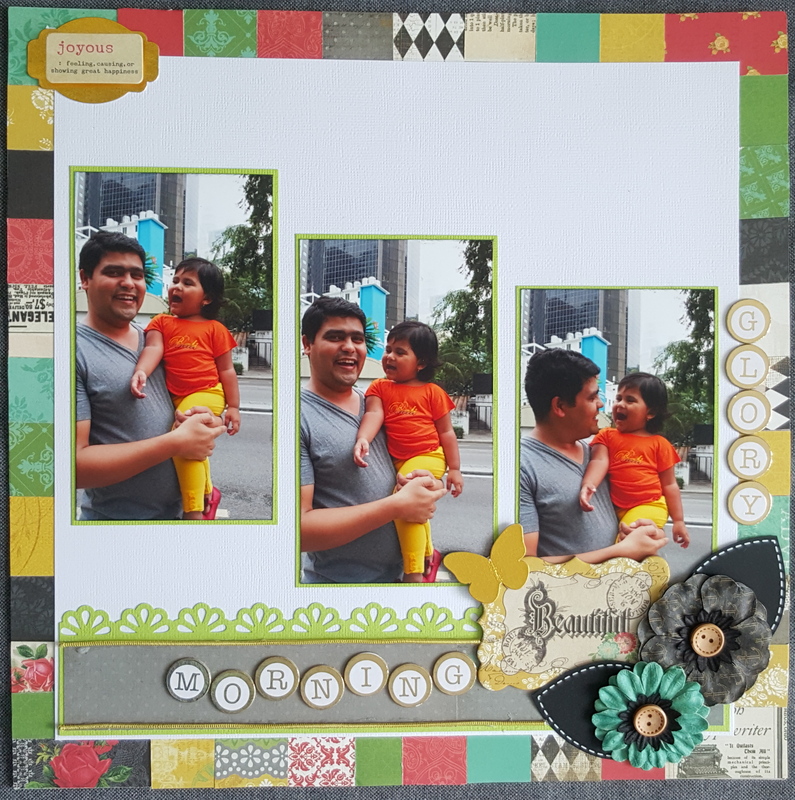 Layout 3: A distinct photo mat created with only scraps in this layout. I hope you got some ideas on how to use up your scraps from these layouts. 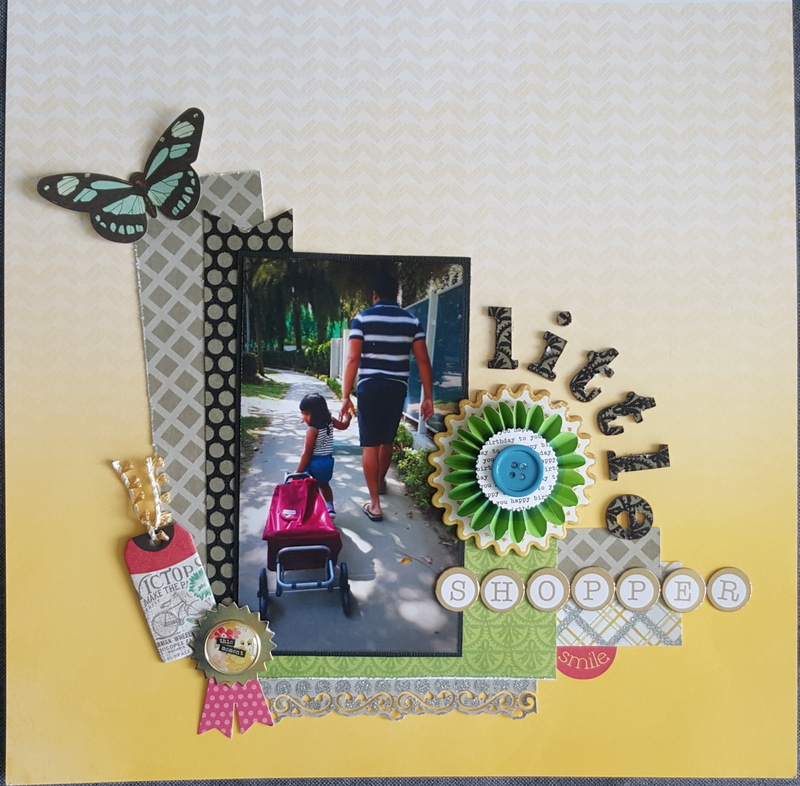 Please do share with me your layouts if you have used up scraps in a different way, would love to see them! Thank you so much for visiting. Cheers!